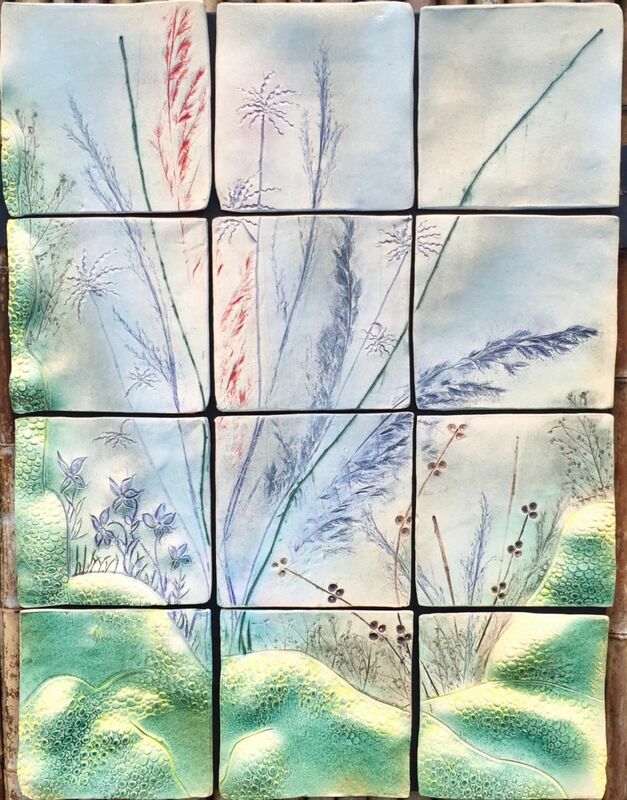 "Expressions in Blues & Greens"
Hand made ceramic wall art tile ready to hang on the wall. All tiles are custom made with loose edges and supple fullness. This wall art measures 21"w x 28"h. SOLD.